"Download any file with this famous p2p client." Ares is one of the most used p2p clients at the moment, mostly because of its high transference speed and easiness of its use and configuration. With a powerful file search system which lets us search according to the type of content we are looking for, Ares divides each download in various parts, allowing this way download from different users at the same time, accelerating the speed of the download. Differently from other similar programs, like Emule, for example, Ares doesn't require uploading of some exact amount of files for being able to download at higher speed, we will always download at the maximum speed our network and files of other users let us. Ares allows to configure download folders the same way as the files we will share with other users of the program through their network. 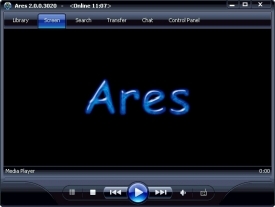 In addition, the majority of the multimedia files that we download can be reproduced right from the same Ares thanks to the integrated media player. It also gives an opportunity to maintain all our archives organized inside its Library, ordered by categories, types of files and also to make search of files of the hard drive. One option that lets us have all our downloads in hand and easily accessible. As an additional function, Ares has incorporated a BitTorrent client so we will be also able to download and manage files which use this protocol. 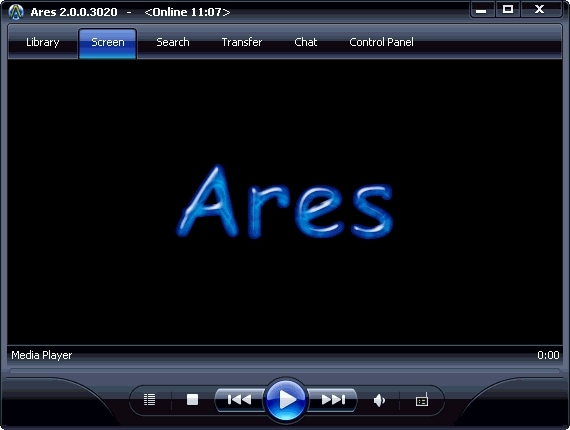 In summary we can say that Ares is not only a p2p client, but that it also has incorporated elements of file reproducing and search which let us use it as a small download and reproduction media center.